I love the Cassie Scot Series by Christine Amsden. One of the reasons I love this series so much is that it has a mix of paranormal fantasy and raw honesty. Sometimes heart wrenching raw honesty coming from or about characters that are multidimensional, much like real people. Cassie has some issues with her parents. She has been hurt, deeply, by them. Understanding and forgiveness may or may not be possible. I have read the first three books in the series and I am not certain if either would be possible for me. I like to think that in the end I would forgive, if only for the peace it would bring, but given what they did I just don't know. 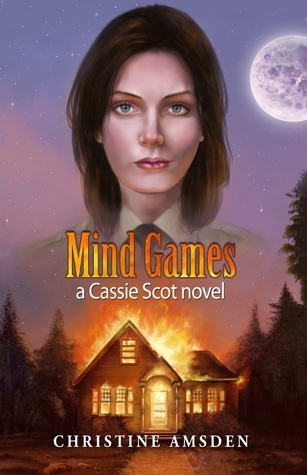 I think Mind Games is a perfect title for the third book in this series, (read my review here). There appears to be some mind games going on and not just with Cassie's love interest. I feel like Cassie's parents have played mind games with her. I am fascinated by psychology and really enjoy this aspect of the series. For me it is one way this series can be enjoyed over and over. There is always some piece to examine and get a fresh take on as you grow in life experience. I am reprinting, (with permission from author Christine Amsden), what the author of the Cassie Scot series has to say about imperfect parents. This article appeared previously on the blog, Emeraldfire's Bookmark. No one's perfect, but many of us expect our parents to be. Or maybe the trouble is that as children, we believe they are. The truth comes as a crushing shock to many adolescents, which feeds into the “generation gap” that commonly surfaces during the teenage years. It usually isn't until young people leave home and see some of the world when they can finally resolve the gap between expectation and reality. Of course, some parents are more imperfect than others. Some mistakes are easy to forgive or overlook, some human weaknesses, such as temper, so normal that it takes much less to recognize that only we who are without sin should throw stones. But what happens when parents make a bigger mistake? Is it okay to forgive them, even though what they did was not and can never be all right? I see forgiveness as one of the major themes of my Cassie Scot series. It is my view that forgiveness isn't something you do for the benefit of the person being forgiven, but rather for the benefit of the person doing the forgiving. Forgiving is a process of healing and moving on. It is not about saying, “Well, I understand and that's all right then.” Maybe it isn't all right. Many things aren't. Many people act out of fear or selfishness and do things that leave deep, permanent scars. But when we forgive, which (done correctly) is a long-term process rather than a momentary act, we set aside anger and work towards healing. I'm not a big fan of black or white characters. These days, it doesn't seem like anyone is, but it can still be challenging to depict certain people as having redeeming qualities after they do terrible things. I mean, is it okay to like anything at all about a man who kills, or steals, or disowns his daughter out of fear and selfishness? I won't tell readers how to feel. Some hate Edward and Sheila Scot (passionately). Some have mixed feelings. Not too many people really like them, and I can't blame them. For my part, I … understand them to a certain extent. They aren't good people who do bad things and they aren't bad people who do good things. They are people who act at times out of selfishness and at times out of fear, but people who still have the capacity to love. But this isn't their story. Another theme I try to present in this series is that change comes from within. Cassie can't fix the people around her. (This is why I was ultimately forced to write spin-off novels for her two best friends. 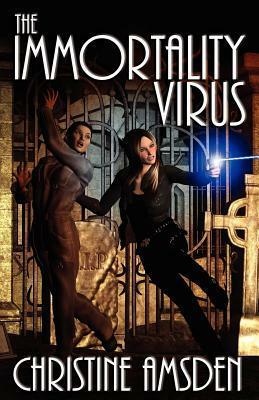 At first I was as confused as Cassie, thinking she could solve the problems that began to develop in the second book.) Cassie's parents won't change in this series because she doesn't have the power to fix them, and this isn't their story. Cassie will never have perfect parents; she'll only ever have the ones she got. But she can forgive them, and she can decide that they were wrong about her. She can decide who she wants to be, regardless of what they think she can be. Today when I opened up Yahoo I came across the story of a Utah man who is accused of chaining his six-year old son to his bed. It was disturbing on several levels. Perhaps the part that frightens me most is my fear that we will come across more and more stories like this one. Politically this country does not take care of its self. With out of control spending by the government the economy has been severely trashed. The examples the leaders of this country set are that it is okay to spend more than you have. If you believe you have good cause then bad behavior can be excused. If you use the money to help someone else, it doesn't matter how you get it. These examples are from both major political parties and have been increasing for years. With government stepping into homes taking responsibility for raising children, while requiring parents to learn none, we have parents who do not know a good parental decision from a bad one. We have children growing up with no real values being instilled in them. I'm not saying there is no value in social services. I believe they are necessary. However I do believe people need to be held responsible for their decisions, good or bad. Natural consequences are not a bad thing. If government wants to step into our homes they should begin by setting the example with the nation's biggest home. All officials, (the parents), should be setting the example of being able to set aside differences to work together for the benefit of the nation, ( the family). They should set the example of living within their means. Just as those of us with credit card issues need to formulate a pay off plan we can live with, so our leaders should do with the nation's debt. Yes it involves sacrifice. They could start by adjusting salaries to reflect what the people of this country make. The money saved could be filtered in to paying down debt. Perhaps with these adjusted salaries they would truly come to understand the problems we the people endure and what we really need. They should set the example of fair fighting: No name calling. Stay on track with the issue. If things get heated a cooling off time out period, giving time to think about what was said. Respect and attempt to understand the other person's view of the situation. A strong home will make a strong nation. As for the article, I do not know this man or what the circumstances actually were. From reading the article, (which can be found at http://news.yahoo.com/utah-man-accused-chaining-6-old-son-bed-221455060.html), let's take an imaginary walk in his shoes. I'll be making assumptions so please keep in mind this is an imaginary walk. The man in the story became a father at age 22. The child had a mother at this time. The parents have high school or less education. They are not making the big bucks. They are intimate with poverty. A year after the child was born the man was arrested for forgery. Maybe it was a party lifestyle but more likely it was the unending need for shelter, food for an infant and 2 adults, an endless need for diapers, wipes, clothes that are too small before they are well used and way overpriced, toys - many of which are overpriced and labelled as educational leaving some parents feeling they are keeping their child from educational development if they do not buy them, hygiene products and possibly an occasional dvd the parents really wanted to watch but fell asleep before they could. The dad is placed on probation. The family is struggling to make it. Maybe mom is staying at home because child care is too expensive, the slots are full or there is no way to get him there. Maybe mom is working but her paycheck is going for the cost of childcare and that dvd they wanted to watch. Maybe dad is working but with no major education or job skills he is barely able to pay the necessities of shelter costs and food. Maybe mom and dad are fighting a lot at this point. Dad knows he is looked at, by society and most likely family, as the "man" who is failing in his responsibility to provide for his family. He turns back to crime - maybe he can get just one more check to go through without getting caught and bring home some tylenol, ear drops and maybe a little car for his crying three year old son. But it doesn't happen that way. Dad is caught and goes to jail. Mom is now alone with a three year being both mom and dad. Maybe she looks at her life and wonders where it went. Dad comes home thinking they can pick up the pieces. He missed his wife and son. He is sure, with a little help, they can make it. But finding a job with a record is proving difficult. Nobody believes in his change. Maybe not even his wife who is just exhausted and depressed. Maybe she decides to try to get her life back and leaves. Maybe she gets ill and dies. Maybe she ends up in jail. Whatever the reason she is gone. Now it is Dad and son. Dad knows the path he is on. Not many believe in a dad raising a child. He has the added stigma of a criminal record, never mind the reason or the change. He does his best but he faces all the responsibility alone and the issue of childcare. He may think that reaching out for help will get his son taken away. After all he is not just a single dad; he is an ex-con single dad. Maybe he turned everywhere he trusted but there was no help. So he makes a bad decision to keep the wolf from the door. Maybe he goes to work worried, scared and feeling awful about that decision. He probably knows it was a bad decision. Not working and providing no shelter and no food for his six year old is a bad decision too. Maybe he took the bad decision he could live with. Maybe he prays constantly for a miracle or just a little compassion and help. You may think the scenario I wrote of is making excuses. It is not. What happened could have ended much more tragically. I do not advocate any type of child abuse, intentionally done or not. It is my fervent hope that this case is investigated completely and the child's best interest is what is the priority. My point of the imaginary walk is that many parents in this country face many of the issues I brought up. They may think in extremes. They may feel judged harshly so they seek no help. As a nation we need to stop judging each other and start finding real solutions. We need to all be responsible for ourselves, our family, the community and the nation. We need to teach this responsibility to our children. We need to demand it of our elected officials. Judgment is only good if it helps bring a positive change. Could there possibly be a Sookie Stackhouse, (pre-TrueBlood TV),that I would feel comfortable recommending to older teens or my friends who didn't like the more "adult features" of that series? Could Nancy Drew be updated in a paranormal world and work? I did not think it was possible. Then I discovered Christine Amsden and her Cassie Scot series and have turned into a believer. I love this series! Mind Games is the third book in this four book series, (out now for ebook; Trade Paperback June 15, 2014). For those who know Cassie, you will devour this installment. I am awaiting the final book with bittersweet anticipation. I want to know how things wrap up but am dreading the end of a series I love. 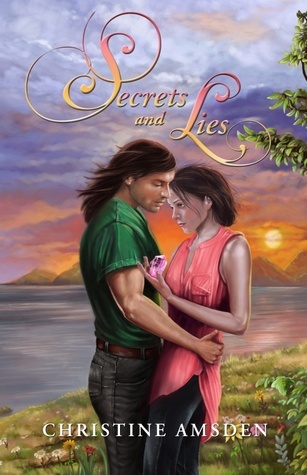 I was introduced to Cassie Scot when I agreed to review the second book in the series. The author, very generously, sent me the first book along with the second, (signed too! I almost died). I wasn't expecting what was inside the covers of those books. I read a lot and am not extremely picky. I will give most any book a chance. Some I enjoy greatly, some I am greatly disappointed in. A few I have had to shelf just because they are the kind I need a mood for. A few I shelf with the hope a second chance later on will make them better, (it happens and you know it). A very small number I can't get through at all. I choose my books from all genres. 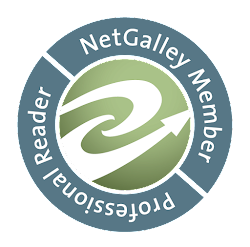 I read popular authors and unknowns, publishers and self published. It makes for a variety of writing skills and types. I have learned to not expect anything, (even from popular authors of big publishing houses - they fail too and you know this). So I opened the book with the hope of a good story and was drawn in so quickly I read for hours. I immediately got the same tingle I got when I read Nancy Drew as a girl. Oorah! A winner. Yeah I did do a happy dance. Cassie Scot is a young adult born into a magical family. She, however, is "normal". 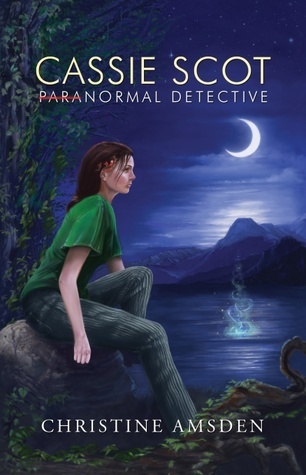 With no magical skills to be found, Cassie decides to open a "normal" detective agency in a town full of paranormals. Since she has no magical abilities she advertises for normal investigations. 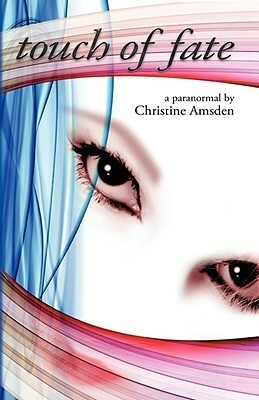 With no real takers and no real money coming in, Cassie agrees to accept a paranormal case. Why not? She does know the community well. So begins our journey. Cassie pairs up with a paranormal, good looking guy that she was friends with long ago. Just because their families have an issue doesn't mean it will affect them, right? Wow. What that leads to! I don't want to give out too much as I hate when reviews tell me everything. I have no reason to read it then, do I? I will tell you that the first book hooked me in with the feeling I got while reading it. It was the same feeling I got when I read Nancy Drew. It was the tingle that said this book is going to be my friend. I will visit with it again, (and again). The mysteries presented are good but it is the characters that truly captivated me. Ms. Amsden writes characters that are interesting and likable, (a few not so likable), and very human. The relationships and the road they travel are fascinating, maddening and sometimes heartbreaking. Tell me that doesn't sound like real life. I know, you may be saying I read to escape real life. I get that. I do too. Trust me, you will have that escape. After all how many paranormal relatives do you have? How many paranormal investigations are going on at your house? Exactly. You can relate to the characters but still be taken away. It is magical writing. Mind Games is the newest release in the series. So much has happened. Cassie has had her heart broken. She has decided to work with the sheriff's department. And she has faced a family issue that will rip your heart out. She has survived but what was the cost and where will it lead? Mind Games brings us exactly what the title suggests. There is a new love interest, a new mystery and more family issues that give true meaning to the title. I thought I was unraveling things fairly well early on in this book. I didn't mind though as there are layers to these books. The mystery is only one layer. Excitement and suspense flow like a babbling brook in the woods. You may know where it leads but you keep walking along side of it for the sheer fun and beauty of it. As for me unraveling things quickly? Well turns out that the brook didn't exactly go where I thought it did though it was close by. The series is a total of four books which make it perfect for gift giving. I love those kind. I enjoy giving books and being able to gift an entire series without breaking my budget is awesome. (And, why yes, I do think of Christmas year round LOL). The author did send me copies of the books for review purposes. I also purchased Kindle copies. After reading the first book I decided the author was well worth supporting by making my own purchases. The books she sent me are on my shelf, enjoying space with my Nancy Drew, Anne of Green Gables, Gone With The Wind and Sookie Stackhouse books, (among others). My reviews and this blog piece are based solely on my honest thoughts and feelings while reading the series. My review, neither right nor wrong, is my honest opinion of what I read. I do hope you will check out this series. The past year has been one of the long haul ones. It was this time last year that I started treatments in Alaska for my illness, (on top of the infusions I was already getting on a regular basis). Fun times never end. In addition to my own health issues, my parents in the Midwest are getting older and having issues. So I made the decision to come back to Illinois for a bit. Like I said fun times never end. So, here I am, in Illinois, enjoying the comforts of various couches. Why couches and not my own place you may wonder. I know, after the past few weeks, I am wondering. I think it is because I do not want to establish a place of my own. I do not want to give up on my living in Alaska, (or Kentucky), dream. Alaska is an amazing place to live. The beauty and wildlife adventure cannot be beat. The cost of living is higher than I like but it is getting like that every where. So, in my mind, if I do not get my own place, I will eventually leave to find my place. Right? Help me out and say right. In case anyone is wondering just what kind of wonderland I have signed up for my mom has been diagnosed with diabetes and dementia, (testing for exact diagnosis starting now). My dad has diabetes. So I am learning a healthier lifestyle cooking for them. My dad is the easy one. He knows I am using diabetes meal planning and will eat what I put in front of him. My mom though is a whole another story. She is a picky, junk food loving type of eater. One who has no memory of the Doctor saying she has diabetes and needs to test once a day. I have to watch her carefully or she will pop something in to munch as I get the test ready. I find myself in the strange position of being an adult child living in my parents home where I need to be the parent. It is such a strange position. I have to admit I am having difficulty with it. I haven't found the combo that lets me fulfill all the roles I play now. I try to respect the fact that this is my mom's home and she recognizes me as her child. The role I have to play though interferes with this though. I have to tell her things to do, what to wear and what/when to eat. I worry that she will feel that I am taking over, that she will feel useless. I worry that I will fail at this. I freely admit that I don't know what the hell I am doing or how to do it. I feel like I am learning to swim - not a good thing. I can't swim today because of memories I have of nearly drowning when I went for swim lessons. Good start right? I keep telling myself that I will do this. That I can do this. After all I raised children with no help. I had no instructions for that. I married and divorced three times, obviously no instructions there. I have infusions regularly to survive and I have had radiation. No fun there, (though when I got the first treatment I bought glow sticks. When I got in bed I broke them open and placed them under the sheet around my body. Seeing the reactions of my friends who were helping me was pretty funny so I guess there were moments of fun). I had my first grandson with me while both his parents worked, (me during the week, weekends with mom and dad deal). No instructions. And then I had another grandson with me for 5 years. Six months into it I knew something was wrong. Another six months and I was told autism. Trust me when I say I had no freaking idea of anything then. All I knew was Dustin Hoffman in Rainman at that point. I looked at the doctor and said what is the most important thing for him to know. He told me communication. So I learned sign language, we watched every word show I could find, I read to him, we played find the happy face, sad face, mad face, etc face for hours and I read every book I could find on autism. I searched out blogs and looked for products to help. I might have been lost but I had a map. And now he is verbal, loving, smart and fun though he still misses a lot of clues that come so easy to most of us. He taught me as much as I taught him. But this dementia thing I don't know what to do with. I already know the answer to what is most important - my mom being happy as I let her go. What the hell is that? I know we have to let go - death is part of life- but my heart screams not yet. So what do I do? I'm not even certain I am strong enough for this. I have no experience with diabetes or dementia. I am reading up but everything is contradicted. If you have any ideas, suggestions or want to share an experience please leave a comment. My sanity may depend on it. Haha.